COLORADO SPRINGS, CO -- Every girl dreams of becoming homecoming queen, even if she's a dinosaur. At a high school in Colorado, one lucky T-Rex got that honor. 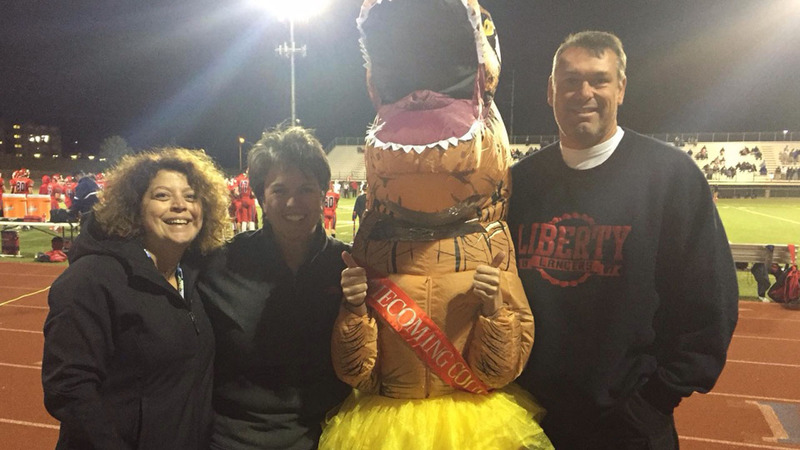 Sarah MacDonald was crowned homecoming queen at her school this weekend with the help of her T-Rex costume. She wore the costume for her school's spirit day, taking Twitter and Reddit by storm after posting a photo of her wearing the winning sash in costume, alongside her proud family.